Welcome to Jessie’s Café & Roasting Co.
Jessie’s Café & Roasting Co, is a hidden haven in Myaree. We combine delicious coffee with a relaxing environment to create a home for coffee lovers. 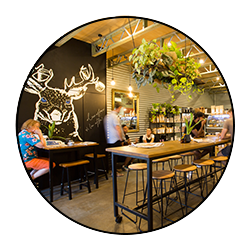 Jessie’s Cafe & Roasting Co is home to Barista School Perth: Perth’s most innovative and entertaining Barista School. 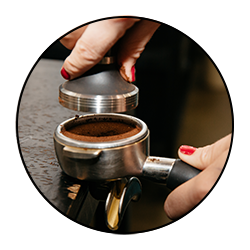 BSP offers a range of weekly barista courses to suit all the coffee lovers or Perth. 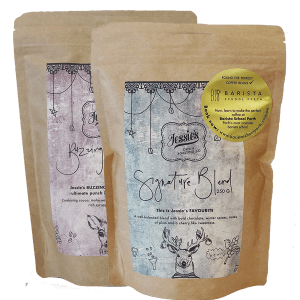 We believe good quality coffee should also be enjoyed at home + work. 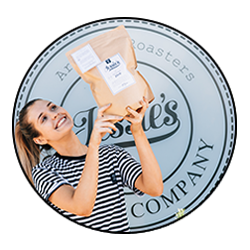 Purchase our freshly roasted coffee by Jessie’s Roasting Co in store or online in either 250g or 1kg! 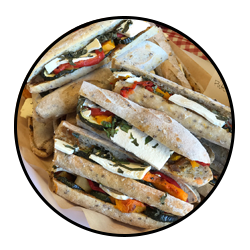 Jessie and her team have create a delicious catering menu – perfect for your next meeting or work function. Enjoy our cosy atmosphere and quirky style for your private event. Available for hire for private functions or events.